We are delighted that you plan to attend the Wharton Global Alumni Forum in Hong Kong on May 25-26, 2007. You may reserve a hotel room at either the Forum’s official hotel (Four Seasons Hotel Hong Kong) or at one of the alternate hotels (JW Marriott Hotel Hong Kong or The Ritz-Carlton Hong Kong). The Four Seasons Hotel Hong Kong is located at the waterfront overlooking Victoria Harbour and the financial district, Four Seasons redefines luxury and excellence in a city renowned for exceptional accommodations. As part of the prestigious International Finance Centre, it offers unrivalled links to Hong Kong Station, with the famed Star Ferry steps away. 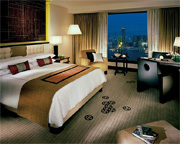 Special group rate is available when you reserve a room with Four Seasons Hotel Hong Kong online. 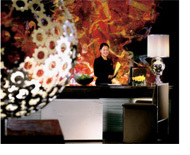 At JW Marriott Hotel Hong Kong, we pride ourselves on being a world-class business hotel. Located in the heart of town, our hotel sits atop Pacific Place, a luxury shopping, dining and leisure complex, with easy access to the rest of Hong Kong via the Admiralty MTR station right next door. Above all this, our 602 luxurious guestrooms offer welcome, quiet privacy, with sweeping views of Victoria Harbour and the lush greenery of The Peak. The Ritz-Carlton, Hong Kong is situated in Central, the territory's most prestigious business and retail address. Rooms boast of stunning views, either of the famous Victoria Harbour, or historic Statue Square and the verdant Peak just beyond the skyline. It's perfect for guests looking for an exclusive sanctuary in the midst of an exciting cosmopolitan destination. Above rates are subject to applicable service charge and government tax, which are currently 13%, but subject to change. Hotel rooms will be allocated on first-come first-served basis based on room availability at time of booking. Delegates are encouraged to book early to secure the rooms. Please note that check-in time is 14:00 hrs and check-out time is 12:00 hrs. Request for early check-in and late check-out are subject to room availability and additional charges. Please advise the hotel if you would like them to arrange for airport transfers. All charges will be added to your hotel bill.